Tue. - Fri. 9:00 a.m. - 5:00 p.m. Sat. 9:00 a.m. 3:00 p.m.
Sun. 10:00 p.m. - 3:00 p.m.
Click below on 'Show Map' to see our location. Click here for the current National Weather Service Forecast!! teas, art/ architectural and garden talks. unmatched in the Sauk Valley area to date. pest management techniques; container designs in progress (to name just a few). 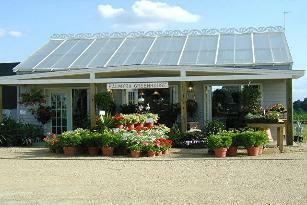 of fine tools and pottery and other affordable items to compliment the plant-enthusiasts tastes. well as a talented builder/accountant-genius to assure us a truly aesthetic approach to our continued success. production and maintenance and to help our customers make informed choices. and some testing have been involved. quality-assured growers from around the globe. you....and also allow you the opportunity to experience us through the eyes of friend before you visit! technology to grow and create the best 'green' experience possible for you in the Sauk Valley region. beauty of ever-present blossoms. Six days per week (sorry, closed Mondays), we welcome you always.